We are a group of scripturally saved, scripturally baptized believers, covenanted together to carry out the Lord’s Great Commission. Unlike Catholics, Protestants, and even many Baptist groups, we have an unbroken lineage– church to church- back to the Church Jesus built and settled in Jerusalem. “Remove not the ancient landmark, which thy fathers have set” (Proverbs 22:28). In these hectic times, there just doesn’t seem to be enough time in the week to do everything, and Sunday has become a day to sleep in, catch up on chores, and maybe squeeze in a little recreation. There must be more to the dog-eat-dog,work till we drop, rat race we are all in. There must be a way to make a real difference… to find happiness, satisfaction, and fulfillment for ourselves and our family. Sunday can make a difference at First Landmark Missionary Baptist Church. You are invited to attend our warm and friendly Sunday School and services where we discover and learn from God’s Word how to enjoy and improve our lives. It is God’s will that all men be saved and come unto the knowledge of the truth (I Timothy 2:4). We are not a “closed” group: in fact, if the Lord is convicting your heart to grow closer to Him, why don’t you join us? If you are wanting to know the Lord in salvation and serve Him the way God expects of all believers, then you need to come! If you have a King James Bible to follow along with the message, bring it along. The Bible commands the Lord’s people to “Know them which labor among you” (I Thessalonians 5:12). We have a strong fellowship of New Testament Churches throughout the Pacific Northwest. Churches of like faith and practice from cities throughout Oregon, Washington and Idaho convene for monthly Youth Rallies, and we meet together every summer for our Annual Church Camp at Union Rogue River Camp in Southern Oregon. 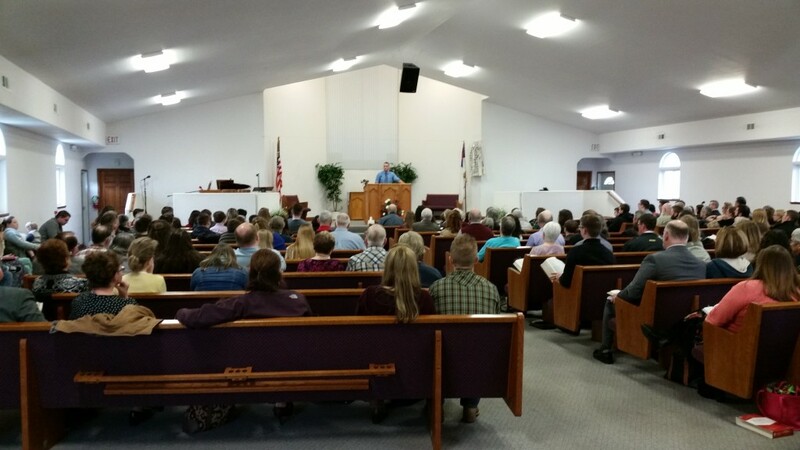 Here at the Springfield Church, we host School of the Bible, where elders from Sister Churches teach Bible doctrine and members convene to learn more about God’s Word and His ways. Come join in our fellowship in the Word! If most of us have disappeared and you want more information, click here.